The Gateway to Northern Mindanao. The City of White Water Rafting and River Trekking. The City of Golden Friendship. These are just some tags CdO is known for. From its welcoming view to the whole island of Mindanao, and for having the most adventurous experience you’ll ever have, to finally having the warmest and most hospitable people you’ll ever meet. Cagayan de Oro is certainly the city you’d want to visit. Cagayan de Oro City, the 2nd Most Competitive City in the Philippines, was a declaration that, indeed, the city has overcome countless economic and environmental challenges the past years. It also did expand its tourism industry that it brought tourists to come and visit the city innumerable times. This month of September, we annually celebrate the National Tourism Week wherein we remember all successes our tourism industry has impacted on our city. 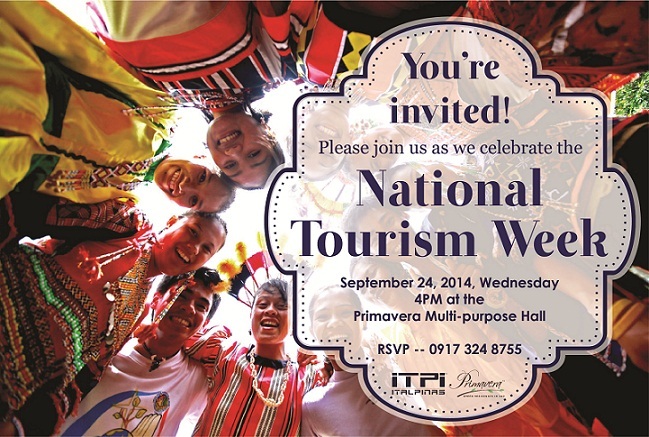 In line with this celebration, Primavera Residences will be hosting the Tourism Partners Grand Tour which invites travel agencies, car rental agencies and tour operators this coming September 24, 4 P.M. at the 2/F of Primavera Residences’ Multi-purpose Hall to introduce to them the in-house rental program of Primavera Residences and how they can benefit from it in terms of incentives from referrals among other perks. Primavera Residences is proud to embrace all our tourism agencies who have made known to put an influence in raising awareness to the public how wonderful Cagayan de Oro is. September 24 is the date to remember. Hope to see you during the event! Primavera Residences is a green mixed-use property located in Uptown Cagayan de Oro comprising of residential, commercial and office units for rent and purchase. All units at Tower 1 are ready for occupancy. The building’s Tower 2 is slated to be completed later this year. Because of its unique design and green features, it recently won an award in the 2014-2015 Asia Pacific Property Awards held in Kuala Lumpur for Best Mixed-Use Development in the Philippines. For any inquiries on events at Primavera Residences, call (088) 880-5002, 0917-794-2221 or visit www.primaveraresidences.com.